The Pentagon, headquarters of the Department of Defense, is one of the world's largest office buildings. It is twice the size of the Merchandise Mart in Chicago, and has three times the floor space of the Empire State Building in New York. 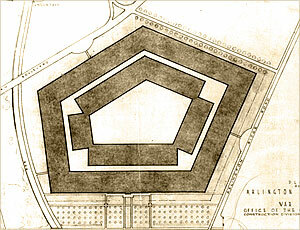 The National Capitol could fit into any one of the five wedge-shaped sections. 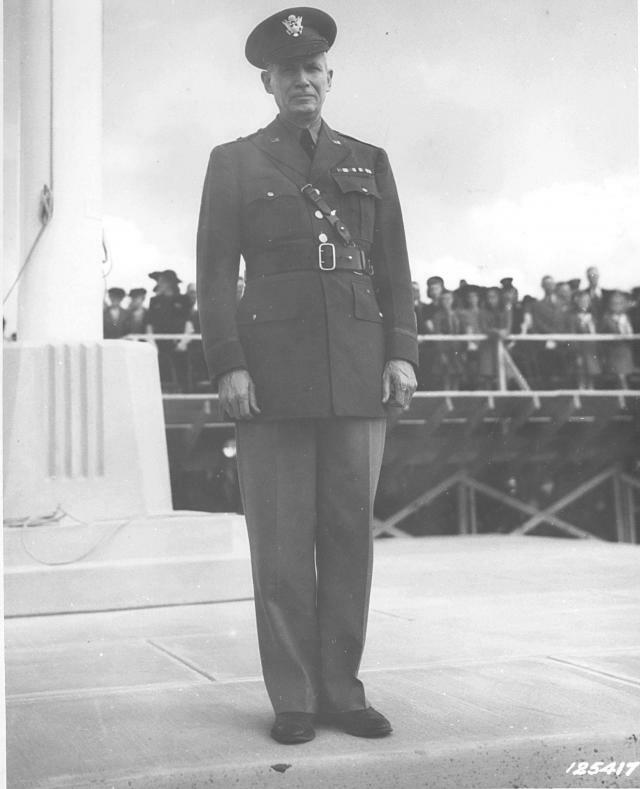 The Pentagon—a building, institution, and symbol—was conceived at the request of Brigadier General Brehon B. Sommervell, Chief of the Construction Division of the Office of the Quartermaster General, on a weekend in mid-July 1941. The purpose was to provide a temporary solution to the War Department's critical shortage of space. The groundbreaking ceremony took place on September 11, 1941. The building was dedicated on January 15, 1943, nearly 16 months to the day after the groundbreaking. 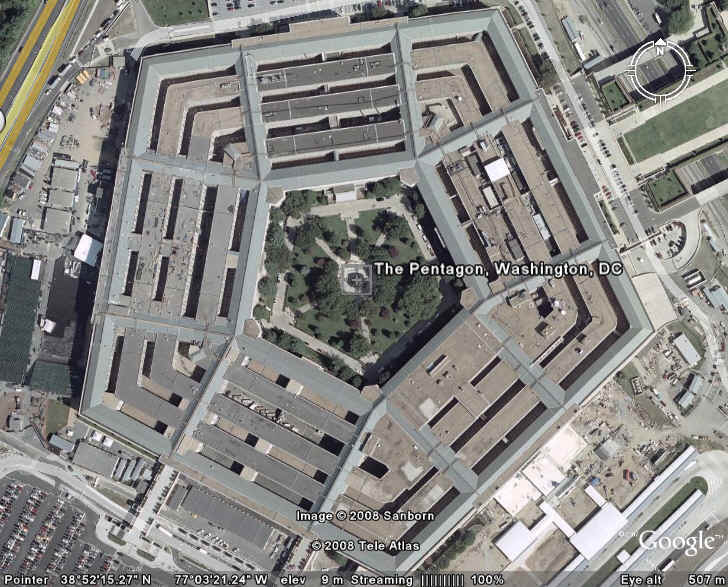 The architectural style of the Pentagon is Stripped Neo-Classical. The building was constructed out of reinforced concrete made from 380,000 tons of sand dredged from the Potomac River and supported by 41,492 concrete piles. The designers’ ingenuity not only created a building that reflected the architectural style of the nation’s Capitol but also saved enough steel to build one battleship. At the height of construction, over 1,000 architects worked in an adjacent hanger producing enough prints to supply the 14,000 construction workers and tradesmen. Three shifts worked 24 hours a day, every day, constructing the Pentagon wedge by wedge. These wedges were occupied as they came on-line. The building was dedicated on January 15, 1943, nearly 16 months to the day after the groundbreaking. Stripped of its occupants, furniture and various decorations, the building alone is an extraordinary structure. Built during the early years of World War II, it is still thought of as one of the most efficient office buildings in the world. Despite 17.5 miles of corridors it takes only seven minutes to walk between any two points in the building. Height of Building (ft.) 77' 3.5"
The federal government considered constructing temporary buildings, but Brigadier General Brehon B. Somervell, an aggressive Engineer officer who headed the construction division, had another idea. On Thursday, 17 July 1941, he summoned two of his subordinates, Lieutenant Colonel Hugh J. Casey, also an Engineer officer, and George E. Bergstrom, a prominent civilian architect, and told them that by Monday morning he wanted basic plans and an architectural perspective for an air-conditioned office building to house 40,000 workers in four million square feet of space, not more than four stories high, with no elevators. Indeed, Lieutenant Colonel Casey and his staff completed the basic layout of a five-sided building by that following Monday, after what he later described was "a very busy weekend." The Pentagon was the largest office building in the country at that time covering 29 acres and housing 17.5 miles of corridors. Design and construction of such a building would normally have taken four years, but the Corps took only 16 months. 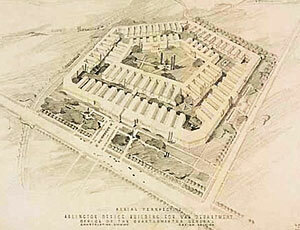 At its peak the Pentagon housed nearly 33,000 workers. Exactly 60 years to the day after the groundbreaking ceremony, the September 11, 2001 attacks occurred. 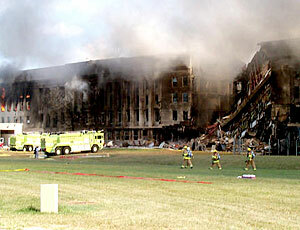 American Airlines Flight 77 crashed into the west side of the Pentagon after being hijacked, killing all aboard as well as over a hundred people within the Pentagon. 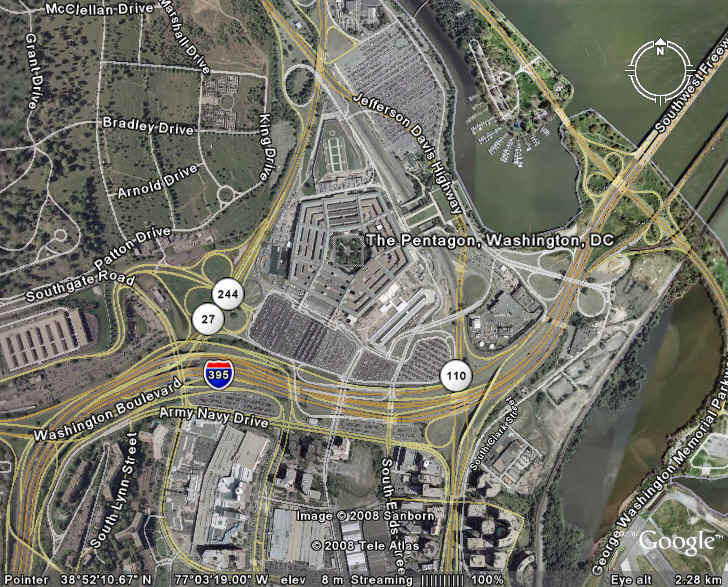 The flight penetrated three of the five rings of the Pentagon. Because the affected area was under renovation at the time, several offices were unoccupied, sparing many lives. The aircraft struck on the edge between two sections—one of which had just finished being upgraded. 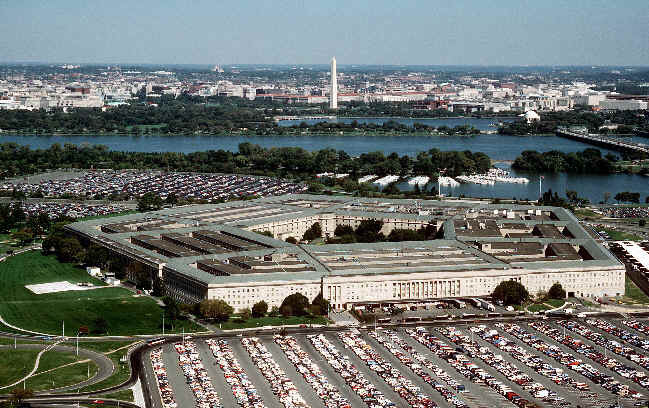 Contractors involved in the Pentagon Renovation Program were also charged with the task of rebuilding the damaged section of the Pentagon following the attacks. This additional project was named the "Phoenix Project", with the goal of having the outermost offices in the damaged section occupied again by September 11, 2002. Part of the pre-attack renovation had involved adding improved security features, including walls and windows with greater blast resistance. An initial analysis suggested that the section's improvements had saved lives, enabling more people to evacuate. Repairs included demolition of the damaged areas, complete rebuilding of the area that had previously been renovated, and reconstruction of the shell of the unrenovated section. 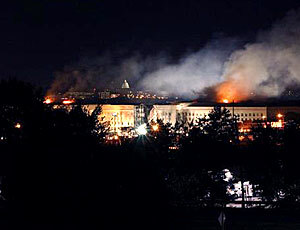 The first Pentagon tenants whose offices were damaged in the attack began moving back in on August 15, 2002, nearly a month ahead of schedule. The repairs cost the Department of Defense about $500,000,000. Before the September 11, 2001 attacks, an escalator ran from the Metro station to the Pentagon lobby. After the attack this escalator was blocked off and later removed as part of the Pentagon Renovation Program.